Pharmacy Profiles is now available nationwide! The nation’s single source repository for pharmacists’ professional information is available coast to coast! It enables pharmacists to manage their professional information all in one place. It is also a single source for pharmacist employers, payors, and other organizations to verify information about pharmacists so they can determine their qualifications and eligibility to provide patient care services. If you are a pharmacist, please claim your Pharmacist Profile. If you need to document the capabilities of pharmacists, please contact us to learn more about our Credentials Verification Service. 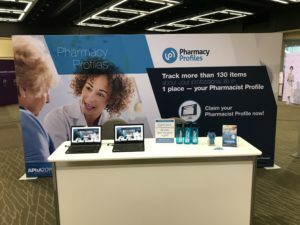 As the patient care roles of pharmacists continue to evolve – and state and federal pharmacy practice regulations continue to change – Pharmacy Profiles makes tracking verified pharmacist information easy for everyone. Don’t hesitate to contact us for more information about our services, software, or the people we serve. Pharmacy Profiles, a subsidiary of the American Pharmacists Association, is the nation’s first single source repository of the nation’s pharmacist providers. We collect, maintain, and verify pharmacists’ professional information, enabling them to unlock their full potential as trusted health care providers. Join our mailing list to stay up to date on our news and services.